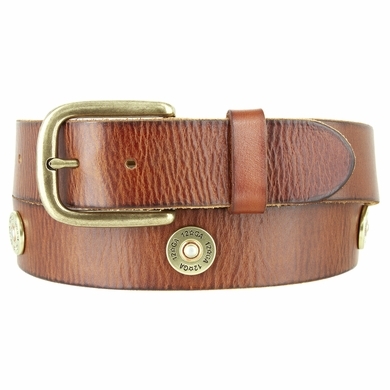 1 1/2" = 38 mm Wide genuine full grain 100% leather belt. Heavy brass plated belt buckle. 12 Gauge shotgun concho ornaments screwed into the belt strap. Snaps, to snap on and off to change to your favorite buckle. Belt comes in black, brown, and tan.